"Replaced Three Mains Water Valves In Very Awkward Locations"
"Quick, Job Well Done And Had A Query With Company After And They Replied Straight Away With Great Service"
"Cleared Drain Very Efficiently Without “Hassle” For Me." "Good Communication Very Friendly And The Job Was Done Very Quick." "Friendly, Knowledgeable, Efficient. Good Communication On Arrival Time . ????" 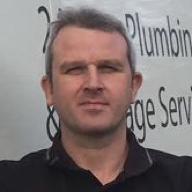 Need a Plumber or Drainage Engineer in Stowmarket?